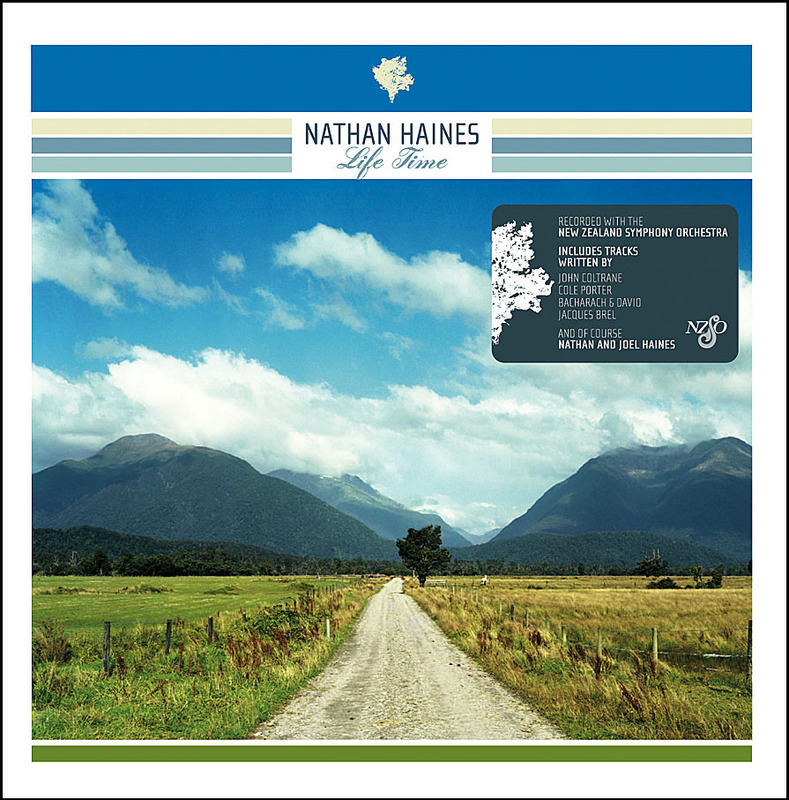 The plan was to make an album representing Haines’ life in both the UK and New Zealand, something about the people in his life, while detailing the sounds and feelings of living in one of the world's greatest and baddest cities. “I first arrived in London in 1995 and played a gig on my very first night. I haven't stopped since. It's always a challenge - a great big beautiful, chaotic challenge that throws up all sorts of questions day in, day out. I'm still striving for excellence, for the unplayed phrase or the unheard chord change, or that indefinable feeling that only great music gives you. The streets positively throb with music around West London where I live,” says Haines. After thinking about how he wanted the album to sound, Nathan contacted Marc Mac (one half of the UK production duo, 4hero). After writing music to beats courtesy of Marc, Nathan also contacted his old friend, New Zealand producer and DJ, P-Money who sent over a folder of beats, one of which was to become the album’s first single, ‘Count On Me’. Long-time friend and collaborator Mike Patto (who produced his last two records, THE POET'S EMBRACE and VERMILLION SKIES) was once again called upon for production duties. This time around however, the album’s production was done as a full co-production with Nathan and Mike sharing engineering and recording duties at Patto’s studio in rural Buckinghamshire where the duo spent over three months re-working, crafting and re-recording demos into final tracks. 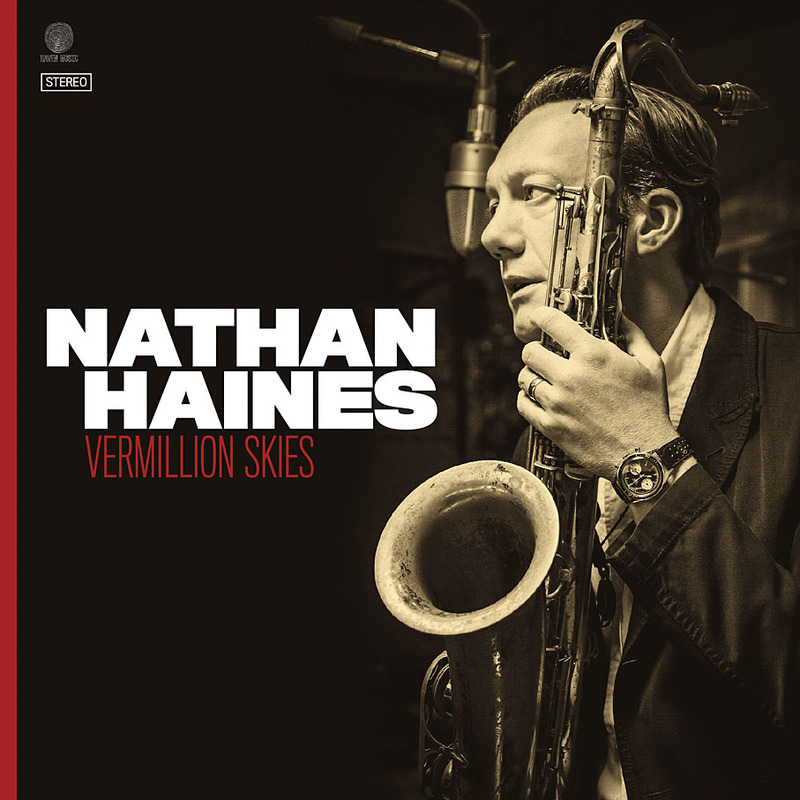 VERMILLION SKIES, the ninth studio album from New Zealand jazz icon Nathan Haines is due for release on Friday, March 29. VERMILLION SKIES is available to pre-order on iTunes and all physical retailers now. All iTunes preorders will also include an instant download of the album’s first single, ‘First Light’. The follow up to 2012’s THE POET'S EMBRACE, most of VERMILLION SKIES was written in London where Nathan and his wife Jaimie re-located to last year. 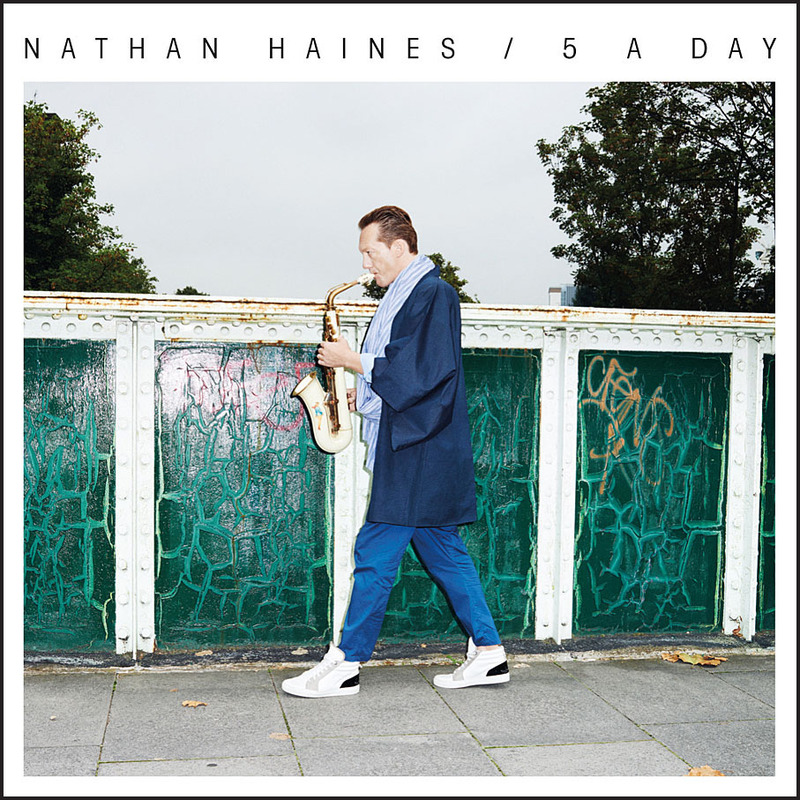 With a spartan studio set-up of a small midi keyboard, walkman speakers and of course his tenor saxophone, Haines set about to put his new life in London into sounds - and words. Tongue firmly in cheek, Haines expounds on topics from dressing in 80's garb, staying up all night and watching the sun come up over a London cityscape draped in Vermillion shadings, to never knowing who you may run into on the once very dangerous London streets. With Mike Patto at the production helm, once again the album oozes analog warmth, with all band performances recorded together and captured via York St Studio's 1974 EMI Neve and a vast array of vintage microphones. However this time Patto and engineer Simon Gooding tried something very unique when it came to reverb and echo - a speaker and stereo microphones in York Street's vast caverned wooden ceilinged car park and a disused large upper room served as a live echo chamber, with parts of the mix sent to naturally reverberate, then recorded and put back onto the final mix. Nathan further explains - "That live reverb sound is something myself and Mike have been dreaming about for years. On THE POET'S EMBRACE we used a vintage plate reverb, but this time we wanted that huge real sound of an echo in a room. It sounds amazing on everything!" Luckily the reverbs had already been recorded by the time irate neighbours phoned York St to complain, with one caller almost in tears saying "there's been really loud saxophone coming out of the carpark all weekend!" Also on the album are pianist Kevin Field on a 12 foot Steinway grand piano, drummer Alain Koetsier with his classic sound of fire and polyrhythms and acoustic bassist Ben Turua who provides a superb and solid foundation in the bass department. VERMILLION SKIES builds on the classic sound of, THE POET'S EMBRACE, (which debuted in the Top 15 on the Official NZ Music Albums Top 40 chart), but takes it even further with the inclusion of a six piece brass section made up (unusually) of two flugels, two french horns and two trombones. 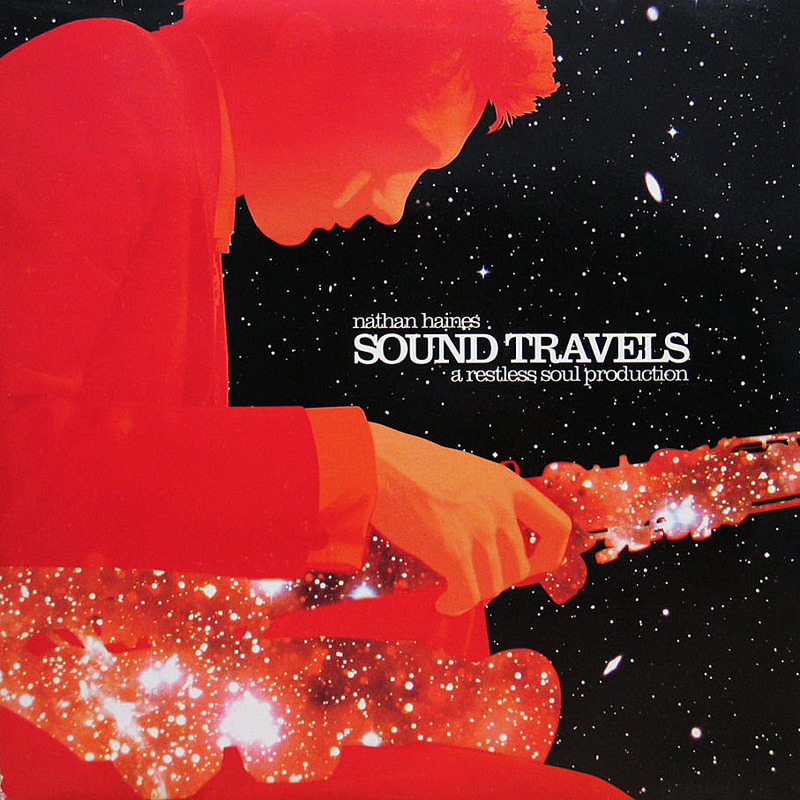 "I wanted a Birth of the Cool sound for the brass section on this album" describes Haines, referencing the classic 1949 Miles Davis album which was opposite in sound from the blaring dance band trumpets popular of the day. 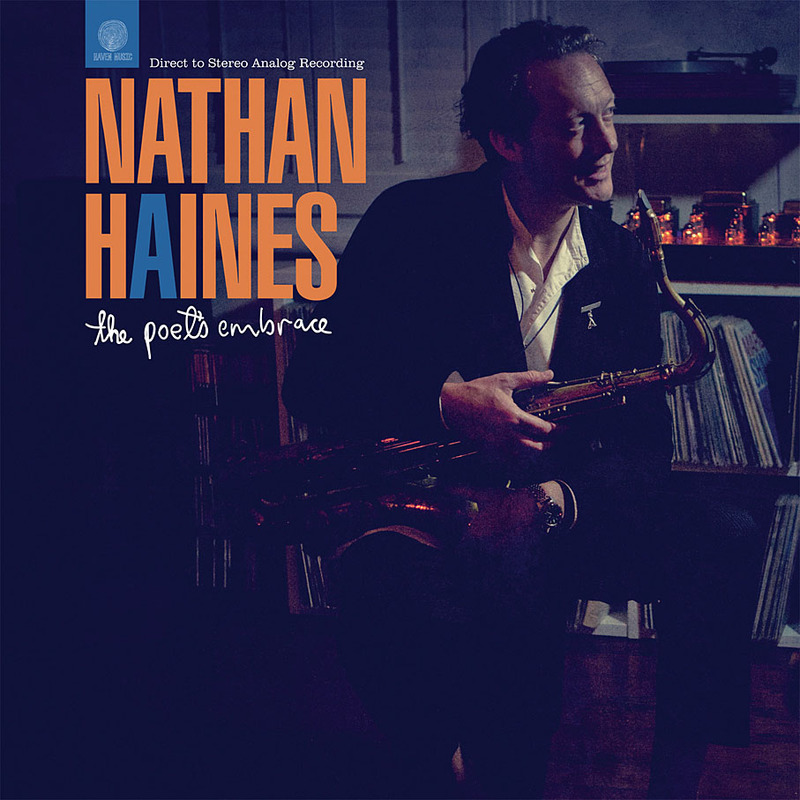 It’s August 2011 and I’m standing at the back of ronnie scotts grinning away in the half-light as Nathan Haines and his London ensemble deliver a sublime performance that’s rapturously received by the full house. 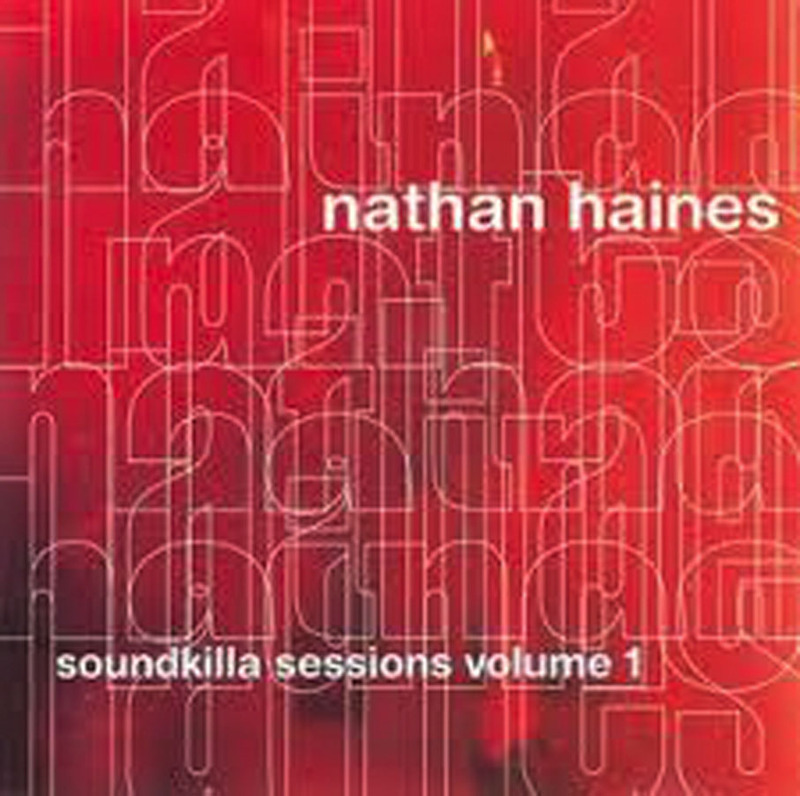 With a set of originals and covers the music Nathan played that night firmly established in my mind that this was a very different Nathan Haines from the man who had left London in 2005 after enjoying considerable success as a “crossover jazz” artist. Whilst still accessible, the music had shifted more firmly into jazz territory with a greater focus on Nathan’s playing. This was obviously a new level for Nathan and his mastery of the music had grown in a way that demanded that he should be stretching out more, so that we could all enjoy the ride. It was somehow poignant that Nathan played propped on a stool that night due to a broken foot –here was the man who had strutted his stuff in the world of dance music immobilized in one of the hallowed spaces of Jazz, relying on no other weapon but his horn. Already focusing on what would become ulti- mately this album – The Poet’s Embrace – Nathan returned to New Zealand with a new sense of purpose, even though this would not be his first entirely acoustic outing. Nathan at last wanted to make a real jazz record. This time there would be no hiding place, just a straightforward quartet recorded live to tape with no overdubs or mixing in the time-honoured tradition. Using vintage microphones and minimal processing, the music was captured by an Ampex 300 1/2 inch tape machine via the EMI- Neve desk at York Street Studios, Auckland over just two sessions in December 2011. Nathan’s journey as a musician has been one of many epiphanies since his sojourn in London, yet though epiphanies may illuminate the path ahead, the journey requires dedication and hard work, and for a jazz musician there has to be the proverbial hours spent “woodshedding”. Nathan has obviously paid his dues in this respect as the first thing I’d say about The Poet’s Embrace is that he reaches places and spaces as a player that would undoubtedly have been inaccessible to the Nathan of old. What emerges from these tunes is a sense of a musician who’s gained his wings and there’s a confidence in his traversing of harmonic space that speaks of a knowledge of when to soar, when to glide, when to let go and when to lay back. Yes, Nathan’s paid his dues and though the debts to other players may sometimes seem obvious, his melodic invention, phrasing and solo construction serve no muse but his own. However beyond the rebirth of Nathan as a writer and player there’s been this other aspect of his renaissance studies –the question of how to achieve the warmth and wonder of those great jazz recordings. I can imagine Nathan immersed in these esoteric arts as the vision for The Poet’s Embrace coalesced. The stacks of old jazz vinyl piled around his old school hi-fi, or burrowing away on-line researching ancient microphones and recording techniques, trying to figure a way to get close to the luxuriant sound of Columbia’s legendary 30th Street Studios where Miles’ Kind Of Blue and Mingus’ Ah Um were recorded. Enter Londoner and long-time collaborator Mike Patto. Nathan’s choice of producer is a telling one, not only as a great friend, but someone who in recent years has been on a similar journey with parallel goals both as a jazz musician and in pursuit of the lost art of analogue recording. Mike was able to bring to bear not only the fruits of his technical knowledge but also his sagacious qualities as a musician and human being. Beyond the practical aspects of recording it’s impossible to calibrate the qualities of a good jazz producer, other than the need to be some kind of conduit through which the energy required for great performances is channelled. To state that Patto has achieved this can only be judged in the listening, but to these ears he’s hit the mark both in terms of the way the record sounds and the way the material is performed. However there are also some concrete ideas that Mike introduced to these sessions which are highly relevant. Firstly the decision that Nathan would only play tenor on this album, (a decision vindicated by the fact that Nathan had recently switched instruments from a 1930’s Conn tenor to a classic 1964 Selmer Mark VI) and secondly the choice of Yusef Lateef’s “Eboness” as the set’s only non original. Also Mike, along with pianist Kevin Field and Nathan, contributed to the composition of the album’s first track ‘Realisation’ – a tune which Nathan had left delib- erately incomplete so there would be something the quartet would be playing completely fresh for the recording. Field has been a musical sparring partner of Nathan’s for many years and it’s obvious they enjoy a deep rapport. He’s a musician who’s obviously not only immensely capable of binding the music together – as a pianist must inevitably do in a quartet session – but also he brings his own unique way of adding colour and shade to the harmonic picture. His touch and feel are more akin to the subtlety of Bill Evans than the incendiary left hand and intense clusters of McCoy Tyner, and there’s also a great sense of space in his playing. He never crowds out the sonic horizon with unnecessary notes always maintaining that hold on the tune whereby his contribution can transcend the realm of merely tasteful into the echelons of elegance. As well as collaborating on ‘Realisation’, his composition ‘Offering’ provides a beautiful finale to The Poet’s Embrace. ‘Realisation’ is a great opener and as a mission statement, full of (the right) intent it pulses and swoons in equal measure and sets the tone perfectly. Right from the off we can hear Nathan’s command of a new soulful tone, relishing each note of the head before releasing into a stream of invention that bubbles with the joy of rejuvenated purpose. ‘Universal Man’ reminds me somewhat of the great Paul Horn’s sixties output, achieving an impressionistic shimmer in it’s rhythmic backdrop, with it’s 6/8 time having no recourse to “jazz waltz” clichés. It’s more about the space within the meter, the harmonic framework spare enough to allow the drums and horn to be visceral without losing that ethereal quality. ‘Ancestral Dance’ is the tune that bears the Coltrane influence most heavily, and “heavy” it is too, drums all ablaze like Elvin Jones and Nathan conjuring not only the spirit but also sometimes quite hauntingly the tone and timbre of Trane’s horn. 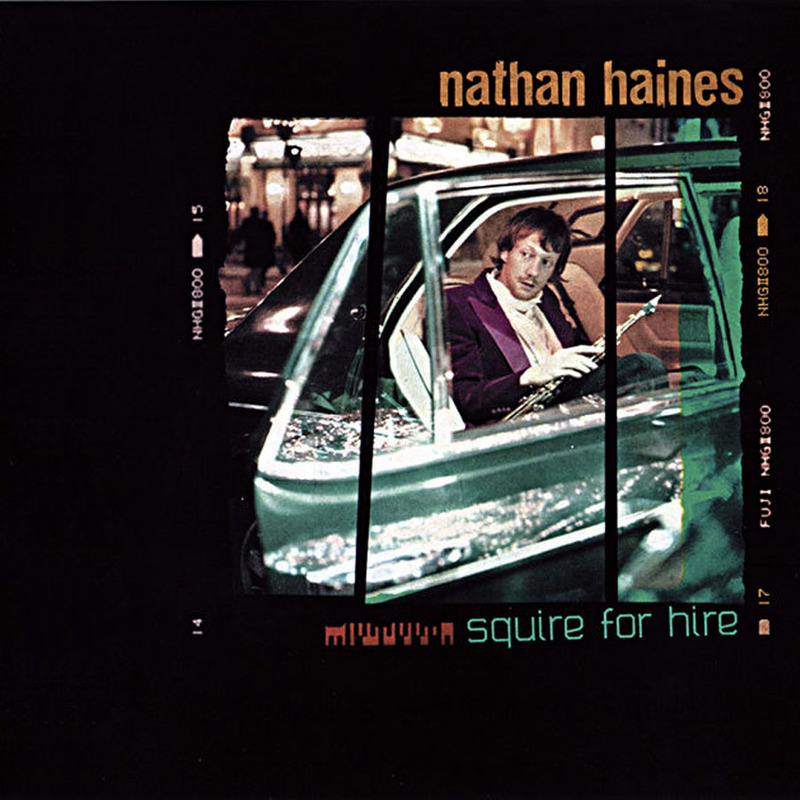 Nathan has always had a synergy with the ballad form, often deploying his Chet Baker like vocal tones to plaintive effect – however his horn is no less plangent, and here on the title track it combines beautifully with Kevin Field’s piano which seems particularly at home in this setting. Showing great delicacy and reverence to the power of space, it’s like watching smoke curling in a shaft of sunlight, time tem- porarily suspended. ‘Eboness’ keeps a fairly tight rein on Lateef’s original, it’s evocative theme switched from flute to tenor, softly grinding and statuesque – this ‘Eboness’ stands proudly beside Yusef’s. ‘Consequence’ provides a simple backdrop for some of Nathan’s best blowing on the session and it’s a burst of energy before the journey comes to rest with the lovely theme of ‘Offering’. The pianist stretches out here with incandescent runs and phrases before Nathan takes over, his warm lyricism given full licence to please, caressing each phrase and bringing out every nuance of timbre from his horn. The rhythm section is completed by Thomas Botting and Alain Koetsier on bass and drums respectively who despite their relative youth have obviously racked up plenty of hours playing together at music school and beyond, such is the symbiotic nature of their shared pulse. As Nathan says, Alain gives him the “fire” he needs with this music, and as bass players rarely receive accolades for doing the simple things well it leaves me to state that Thomas Botting holds down the bottom end with impeccable taste throughout, never straying too far from the essence of the task at hand. 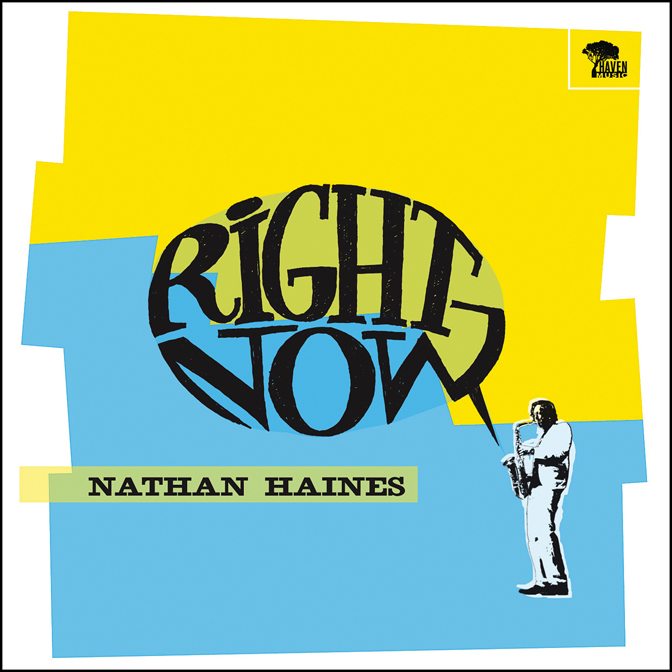 So for Nathan Haines, this is a significant mile- stone on his journey through life and music. A jazz musician can never really “get there” - the warp and woof of his art is all about the process of “becoming” and the endless quest. For the moment Nathan seems to have achieved something quite magical – he seems to have arrived. The Poet is on the case! This is such a grown up sound, rich with caring and loving phrases. Nathan has recorded a really hypnotic piece with this album. I can't possibly express the soulful places I am taken to with this music – but thankyou so much! Loving you is a party!